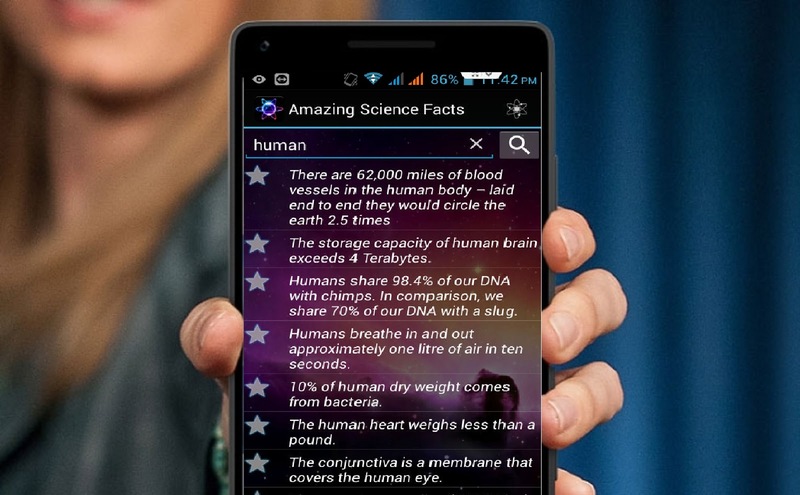 Amazing science facts is a free app for android that provide you lot of amazing knowledge about science, physics, biology, maths, astronomy, human, animal, earth, sun and many more. The best thing of this app is it work offline and easy to search any topic, you can also bookmark your favorite facts for quick reference, using the app is very simple go to google play store search for “amazing science facts” download and install, open the app and in the search box type your term and hit on search. Thousands of amazing facts about physics, biology, maths, astronomy, etc. Share your favorite facts by Email, etc.